Improving waste management has numerous benefits, which lead to improving human wellbeing. This can be clearly observed in developing countries and improving waste management there is a priority. Learn why from Bilkiss Adebiyi’s essay on the relationship between good waste management & wellbeing. Then, watch this panel discussion on waste collection systems in developing countries. Inhabitants of many communities worldwide feel helpless when they observe mountains of garbage in their streets and find no help from their government to collect that waste. Inappropriate waste collection systems are a significant threat to public health. Waste composition, different waste management technologies available in the area, and the presence of the informal recycling sector are all aspects that should be considered in the design of an appropriate waste management system. Learn about the informal waste sector with this panel that discusses the integration of informal waste recycling sector in Latin America. If you wish to explore the informal waste economy in depth, head to our beginner’s guide on the topic. In developing countries, governments often lack resources to solve waste management challenges. Such situations require new perspectives, energy, and resources in the form of entrepreneurs and businesses. Learn about the opportunities for entrepreneurs in waste management and this panel on entrepreneurship in solid waste management where Bilikiss Adebiyi (Wecyclers) and Tom Szaky (TerraCycle) advise entrepreneurs and speak about their entrepreneurial journey in Nigeria and U.S. Even though some developed countries are moving towards eliminating landfills completely, there are places around the world, where well operated sanitary landfills can provide the safest and most affordable way to dispose of solid waste. Modern engineered landfills are essential foundations for a community’s solid waste management system. They are a proven and reliable technology that can accept a wide range of incoming waste loads. Learn about the relevance of landfills in developing countries and read why landfills are a necessity in developing countries. One in two people on this planet is either Chinese or Indian. China has achieved significantly better economic growth and improvements in waste management as compared to India. India’s new government has launched an ambitious initiative called the Clean India Campaign. Learn about the status of the Clean India Campaign from two people who’re significantly involved in implementing it. Circular economy is often not discussed in the context of developed countries. 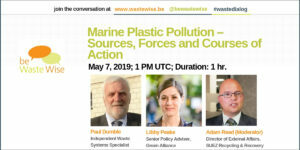 Learn how to make circular economy truly global, and make it relevant to poorer nations, whose participation is a must to make a circular economy possible. Officials in developing countries usually acknowledge the need for better waste management. However, little is done to improve the situation, and changes take long periods of time. Waste management is not normally given high priority among governmental duties, and decision makers don’t always have the necessary skills or resources to evaluate the technologies proposed by sales people who claim that their installations would resolve all of the locality’s waste management challenges. Given so many issues, learn about the main drivers & barriers to waste management in developing countries like India & Nigeria. Is there a specific topic on waste management in developing countries that you want us to host a panel discussion on? Or, are there any other panels or articles (external to this website) that you think should be linked as part of this guide, do let us know in the comments. If you found our guide useful, please share it on social media. It will help others get access to this high-quality knowledge from some of the best minds worldwide. 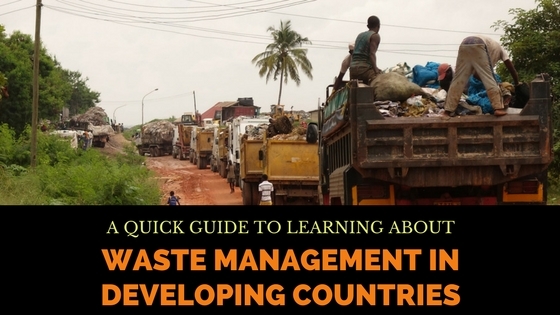 Want to learn about waste management in developing countries? This resource from @beWasteWise is a good start.